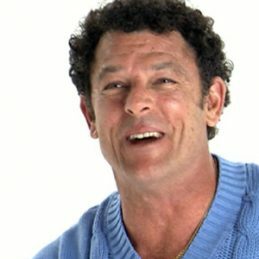 Mike Whitney is one of Australia’s most sought after motivational and after-dinner speakers. He has an innate talent for communicating and holding people’s attention. A consummate anecdotist and accomplished mimic, Mike is an entertaining raconteur whose stories are told with grace, humour and charm. For many years, Mike has been the host of Seven Network’s top rating programme Sydney Weekender and a regular guest on Sunrise. He has also been a regular panelist on Sports Sunday, and At the Wicket a one-hour cricket talk show viewed international on C7, the Seven Network’s cable channel. In 2000, Mike was a presenter for the Sydney 2000 Olympic Games covering the cycling, rowing, tennis, athletics, and Opening and Closing Ceremonies for The Seven Network. He was also co-host of The Olympic Show, the prime time Sunday afternoon sports programme which interviewed Olympic and Para-Olympic athletes prior to the games. He has also been part of the Indian Cricket League commentary team. In 2009 Mike Whitney was inducted as a life member by the South Sydney Rabbitohs for his contribution in being a Director on the Football Club Board in the critical period during the Club’s battle for reinstatement to the competition between 1999 and 2001. He also played a decisive role in attracting fellow Life Member Kerry Stokes to the Club as a major sponsor upon its readmission to the competition in 2002, a coup that ensured the Club’s ability to make its triumphant return to the NRL competition. Mike is a patron for the Sydney Kids Committee (Young Christopher Robin Committee) and a member of the fundraising committee for the Sydney Children’s Hospital, Randwick. He has also organised a fundraising day “Whit Walk -Kilometers for Kids” with field events and family entertainment. The author of two books two best-selling books Quick Whit and Whiticisms, Mike is President of the Randwick Petersham Cricket Club, and Vice-President and a Life Member of Cricket New South Wales.